Nicole focuses her practice on all aspects of family law litigation representing clients in Massachusetts and New Hampshire in divorces, actions involving children born out of wedlock, support issues, and child custody matters. Nicole is a trained Limited Assistance Representation Attorney (providing clients with representation only on an as needed basis), Category F Guardian ad Litem, ARC counsel (Attorneys Representing Children), Mediator and Collaborative Law attorney. Prior to opening ARMSTRONG LAW, P.C., Nicole practiced family law at a boutique law firm just north of Boston where she represented clients in numerous courts throughout the state of Massachusetts including Probate and Family Court, Civil Court and Criminal Court. Nicole is a Dean’s List graduate of Suffolk University Law School where she received an Oral Advocacy Award, participated in the Moot Court Honor Board, was a Member of the National Trial Team and the National Women’s Law Student’s Association (NWLSA) for which she was the Co-Director of the Sojourner Truth National Moot Court Trial Competition. Nicole achieved her Bachelor of Arts degree in psychology in 2000 from the University of Massachusetts at Amherst and was a member of Psi Chi, the National Honor Society in Psychology. Nicole is a brother of the Alpha Phi Omega, Kappa Omicron Chapter – A national co-ed fraternity dedicated to community service, where she held many board positions. Nicole is also a proud alumna of the University of Massachusetts Minuteman Marching Band (UMMB) under the direction of the nationally acclaimed late George N. Parks. Nicole has achieved a significant accomplishment of a peer reviewed AV Preeminent® rating by Martindale-Hubbell®, and demonstrates that her peers have ranked her at the highest level of professional excellence. As a result thereof, she has also been recognized as one of Boston’s Top Rated Lawyers of 2015 in Family Law. Nicole was recognized as an Outstanding Young Lawyer in the Top Women Attorneys section as published in Boston Magazine in April 2013. In 2012, Nicole was acknowledged in the Super Lawyers® rankings, a rating service of lawyers, as a Rising Star. Super Lawyers Rising Stars is a list of talented, up-and-coming young lawyers, a list to which only 2.5% of eligible attorneys are selected. The selection process is similar to that of Super Lawyers and based on peer nominations, peer evaluations and independent research. 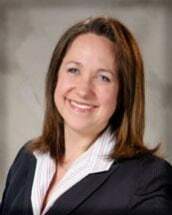 As Guardian ad Litem, Nicole has been appointed by Judges of the Probate and Family Courts to investigate into the best interests of children in custody/visitation disputes. Additionally, Nicole has also been appointed by the Court to serve as ARC counsel (Attorneys Representing Children) where she volunteers her legal services in representing children, providing them with a voice in contested litigation matters. The Court has also appointed Nicole as conciliator where she assists parties and counsel in settling disputes and has been approved to be included in the Court listing of Limited Assistance Representation Attorneys. Nicole is a frequent lecturer at the Massachusetts Continuing Legal Education in the area of domestic relations and is the co-author of the chapter on Dissolution of Marriage and Legal Separation in the LexisNexis Practice Guide: Massachusetts Family Law.